Bychkov will also conduct the first performance in the Czech Republic for 20 years of Luciano Berio's Sinfonia for 8 Voices and Orchestra, and the Czech première of Detlev Glanert's Weites Land, both composers with whom Bychkov has enjoyed a long and close association. For future seasons the orchestra has commissioned new works from 14 composers including Detlev Glanert (Germany); Thomas Larcher (Austria); Bryce Dessner (US); Julian Anderson (UK); and Thierry Escaich (France); and nine Czech composers Jiří Teml; Jiří Gemrot; Pavel Zemek Novák; Martin Smolka; Adam Skoumal; Miloš Orsoň Stědroň; Miroslav Srnka; Petr Wajsar; and Slavomír Hořínka. 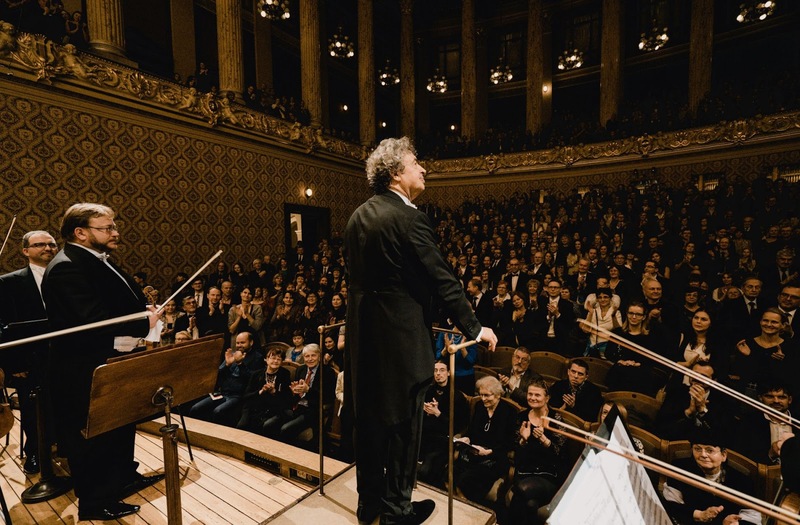 Bychkov's Tchaikovsky Project with the orchestra will culminate in with residencies in Prague, Vienna and Paris and the release by Decca of all Tchaikovsky’s symphonies, the three piano concertos, Romeo & Juliet, Serenade for Strings and Francesca da Rimini. Completing Decca's Dvořák cycle initiated by Jiří Bělohlávek, Principal Guest conductor Jakub Hrůša will conduct performances of Dvořák's Te Deum, Piano Concerto in G minor with Pierre-Laurent Aimard and Carnival. Full details from the Czech Philharmonic Orchestra's website.